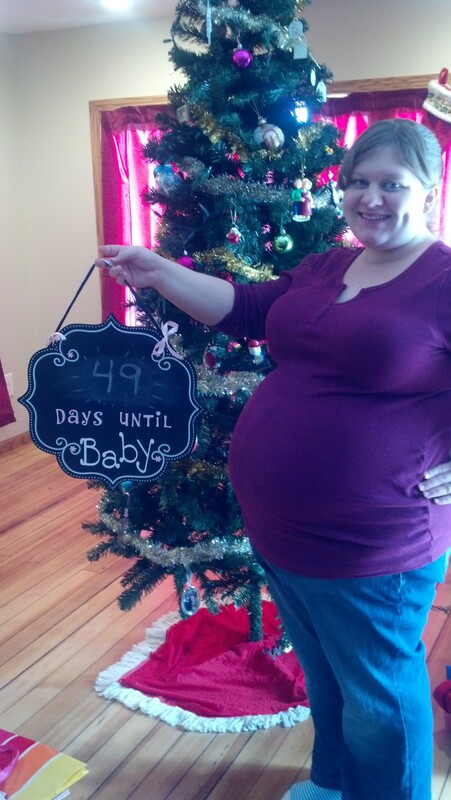 Well, with any luck this will be my very last pregnancy update before we meet our little girl. 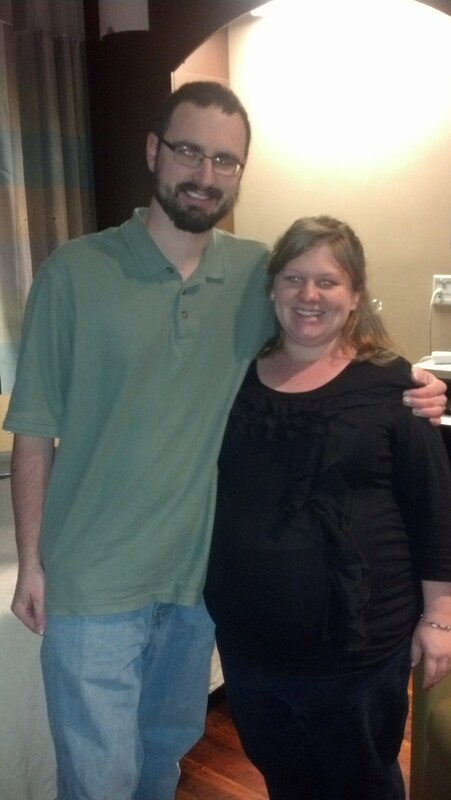 I’m scheduled to be induced tomorrow evening. We are excited, overwhelmed, terrified, joyous, anxious… well, you get the idea! We’re a lot of different things all wrapped up into one. My blood pressure has been decent, as have my blood sugars. I’ve had a few headaches which have been bothersome, but manageable. Our Baby: Is awesome! She’s moving just as much as ever and is passing all of her non-stress tests with flying colors. At 35 weeks, we went in to the hospital for an ultrasound and she was measuring about 2 weeks ahead — which could have put us with a 9 1/2 lb baby. 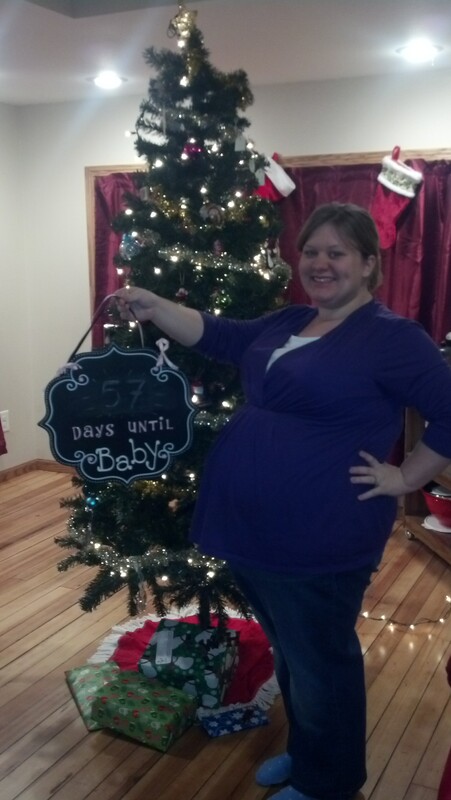 However, last week, my OB did another ultrasound and baby was measuring right on pace at about 7 lbs, 2 oz. With any luck, she’ll be closer to that when we deliver and won’t have to worry about having to do a c-section because of her size! Next Appointment: Well, we’re scheduled for an induction TODAY, Tuesday February 11 at 6:30 PM CST. Best part of the week: Spending an inside weekend with my husband — our last weekend as a married couple without children. It was bittersweet. I’ll always treasure the 2 1/2 years we had to ourselves, but we’re both ready to open our hearts and home and let this baby girl in. Maybe it would be different if we were the type of people who went out a lot. But we live the kind of lifestyle that will handle having a little dependent person always hanging around. 🙂 I mean, shoot… we spent our last weekend doing things like cooking, baking, cleaning, watching movies, reading, and listening to good music. I think our baby will enjoy being a part of all of those activities! We’ve also gotten a lot of work done in her nursery. It’s not done yet, but since she’ll be staying in our room for awhile, that’s OK. Here’s a picture of her crib area and her changing station. (Note: the clothes are in the crib because it’s been too cold to stain the dresser and put them in there!) 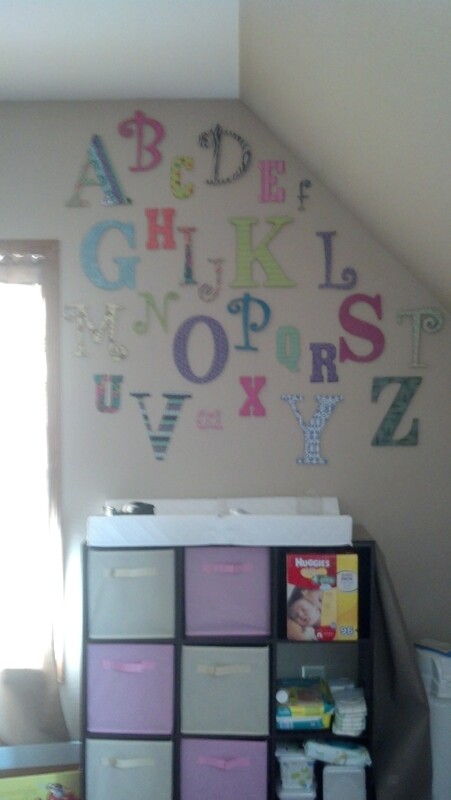 I am absolutely in love with the alphabet wall! It turned out great! So, I’ve been starting posts for weeks. I’ll get partly through one and think of something I need to do and then a week will go by and everything I wrote will be out of date. So I start over, and then the same thing happens. That, up there… that’s my point exactly. I started that on January 12. Now, It’s February 9. 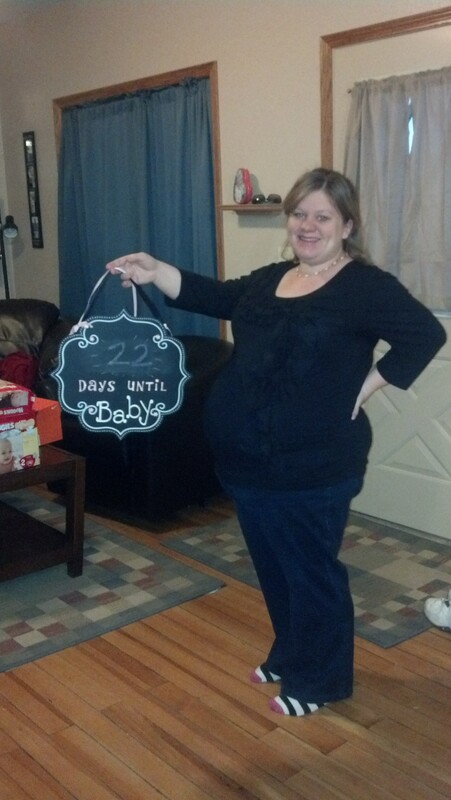 My last pregnancy update on this lovely piece of interwebs was from 31 weeks. 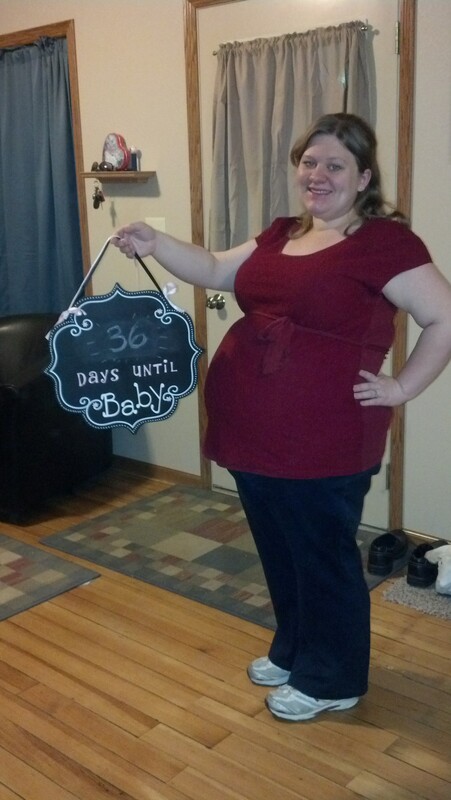 I’m now 38 weeks, 5 days. Blog fail, am I right?! The Holidays – Christmas was great this year. We spent Christmas Eve in North Platte with the Moser family and Grandma Alyce. We spent late Christmas Eve/early Christmas Day in Mason City at our little house. And then the rest of Christmas Day in Dannebrog with the Stanton family. We were blessed to receive such thoughtful gifts for us and our little baby. And, I think we did a good job of giving gifts this year — that’s always been my favorite part. I don’t often mind when we don’t receive lists from those we need to shop for. It gives us a chance to really think about what we want to give our family members. I think we nailed it this year. Then Brian and I rang in 2014 in our own subtle style. We splurged on shrimp and crab legs, made fruit pizza, and bruschetta. We watched a movie until almost midnight, then played Scrabble. At the stroke of midnight, we enjoyed a lovely glass of bubbly — no… not champagne… just some good ol’ sparkling grape juice. Then, we went to bed. Totally our style and a great way to spend our last moments of 2013 — one of the craziest years of our lives — and the first moments of 2014 — a year that has so much to offer! We were learning about the letter E. The letter e says eh, eh, eh, like an engine trying to go up a hill. One day, a little guy said to me, “Mrs. Moser! Mrs. Moser! Sometimes when you’re going to the bathroom and you have to poop, you say EH, EH, EH to help get it out!” I laughed so hard. It was great! Always good to know that our little ones are making school to life connections. Speech – This has by far been the most time consuming part of the last month! We’re in full tournament swing. This was our only weekend off until mid-March-ish. Our little team is growing! We’re consistently taking 6-8 girls to tournaments. They are all doing great! We’ve come home with some medals and ribbons — but most importantly, our ladies make improvement every week. Brian and I will be missing the next tournament, but I have faith our girls will be just fine! But, secretly, I’ll miss them. I love to watch their confidence grow from week to week. Our varsity members are doing a great job of coaching, supporting, and helping our freshmen members. I have a feeling that next year, our team will be so great!!! And the rest of this year, I see a lot of success for everyone! Baby – We had three baby showers. One with family, one with friends, and one with the lady teachers at school. We were blessed with so many awesome gifts for baby girl Moser. She’s going to be so loved! 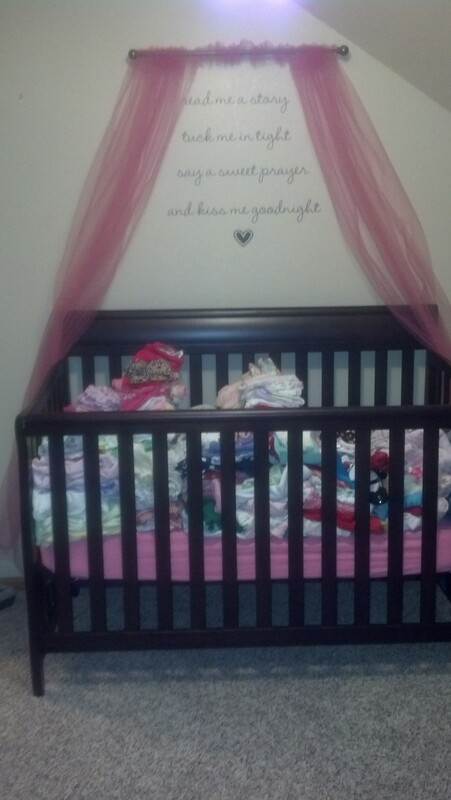 She has a ton of awesome clothes, hopefully enough diapers for at least a couple weeks, and SO MANY BOOKS!!! We are beyond excited to meet this little lady and let her meet all of the wonderful people who care about her! 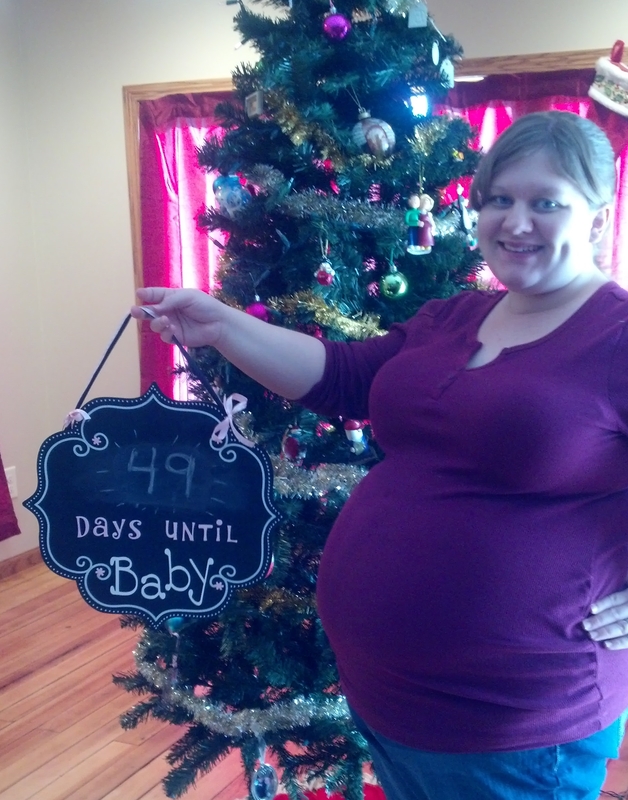 Speaking of baby… tomorrow, I will post a 39 week update! So look forward to that! Symptoms: Still just feeling pretty pregnant. Cravings: No strong cravings this week. Our Baby: The doctor said our baby is sassy. She has always avoided the doppler at our appointments. The doctor thought it would be easier now that she’s getting bigger and running out of space. But alas, this little gal still squirms around. It makes it hard to hear the heartbeat for long, but the doctor eventually gets it! Next Appointment: Monday 12/23 with the regular OB, Saturday 1/4 with the high risk OB, and sometime in January with the neurologist. Best part of the week: Realizing that there are specific parts of Lion King that really make baby move! Making holiday treats with my mom, sister, family friend, and Brian. Oh, and buying a CRIB!!! 🙂 Yay! Sorry this post is short and sweet. I’m having a very emotional pregnant day. As excited as I am for Christmas Break, I know that there is so much to do between now and February. The fact that we only have NINE weeks left just boggles my mind. I’m having a day where I feel stressed about everything we need to accomplish — doctor’s appointments, baby classes, teaching, speech practice, speech tournaments, preparing the nursery, cleaning the house… the list goes on and on. So, I’m giving myself a day to be emotional. To cry when I need to. I mean come on — it’s a MONDAY! Tomorrow, I’ll put on my happy face and make a list and get stuff done… but for tonight, I’m curling up with a box of tissues and some of the Christmas goodies we made, and just relaxing my overwhelmed heart. I’ve known about this for over a month. And it’s taken me that long to be okay enough with things to write about and share. But this is part of my first pregnancy, and something that I’m now fully accepting and most importantly, managing. Because I was at risk for GD – weight plus family history of diabetes – my OB wanted me to take an early glucose test at 20 weeks. So I drank the disgusting sugary drink, waited an hour, and had my blood drawn. The next day, my OB called back and said that my number was high — they like to see it under 130, I was 136. The next week, I had an appointment with a dietician and nurse educator who set me up with a glucose monitor and some great recommendations on how to manage this condition. Writing about it now, I’m level-headed and accepting. At the time, I was a wreck. I bawled often and honestly saw myself as a failure. I would get into all the reasons why I felt like a failure and why I cried until all my tears had run out… but now, it’s not worth it. 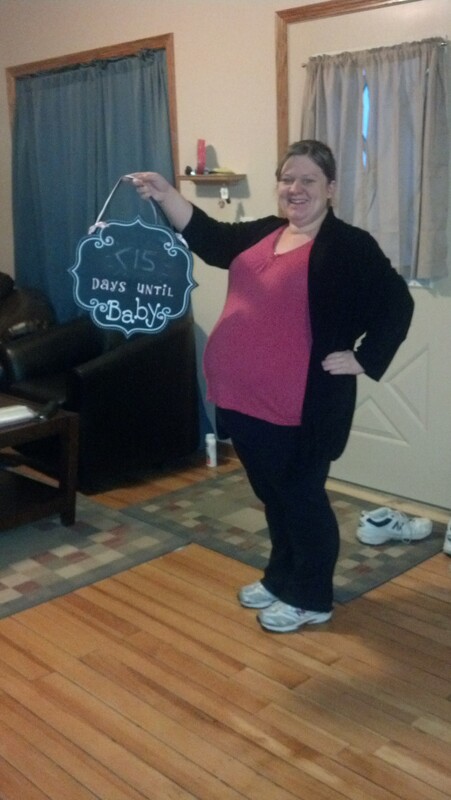 Gestational Diabetes is simply my pregnant body reacting to how it absorbs insulin. It’s nothing that I could have prevented, and honestly, nothing to be ashamed of. In fact, after meeting with the dietician, she felt pretty certain that if I continued to eat the way I was eating, I would be alright. And for the most part, I have been. I test my blood sugars 4 times a day. First thing in the morning, and then 2 hours after breakfast, lunch, and dinner. All in all, with only minimal changes to my diet, plus adding in some extra walks, my glucose levels look fantastic! My nurse and doctor were both super impressed with my dedication to monitoring this diagnosis and my genuine concern for my baby. Because GD isn’t about ME… it’s about my baby. If my pancreas can’t do it’s job, then baby gets the extra insulin, which makes her produce more urine, which increases amniotic fluid, which isn’t good! Not only that, but if left untreated, it can lead to very large, and sometimes sick, babies. Will I have to be medicated? It turns out… yes. My fasting levels were slightly elevated for the last few weeks, despite any changes I made in my evening meal or nightly exercise. So, my doctor is starting me out on a very small dose of medication that should help. Because my fasting levels are only borderline high, my new thing to watch out for is my glucose levels tanking. So, I continue to monitor it carefully — knowing that being on medication doesn’t mean that I can indulge in the delicious carby, sugary things I’ve been craving. Will I sometimes have high levels? Yep. I test my blood sugar levels religiously, and try my hardest to stick to the carb recommendations from my dietician. But sometimes, I just have to have an extra serving of carbs at a meal. And that’s okay, especially if I make sure to walk afterwards. My doctor has reassured me that having GD doesn’t mean that I have to stop having anything my pregnant body craves, it just means I need to balance it out to make sure I maintain my blood sugar levels so they don’t drop and then spike. 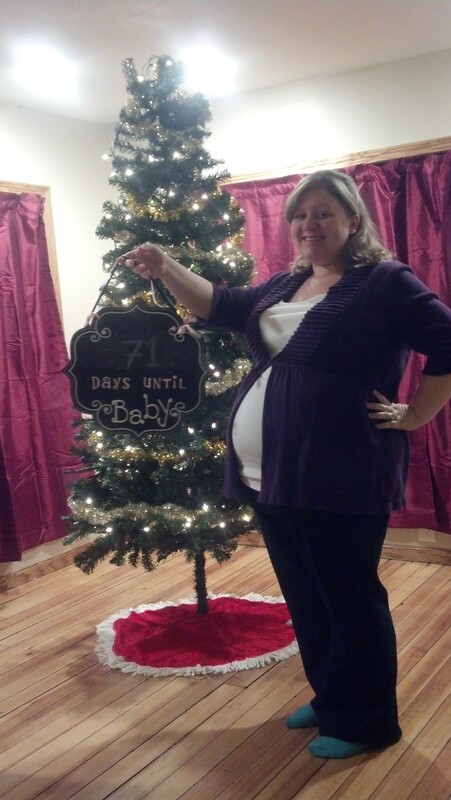 So, I have gestational diabetes. That’s okay. I’m not a failure. It just means that I have to do some extra work to make sure my baby stays healthy. And I’ll do it, because the love I already feel for this little girl is unmeasurable. And from this day until the end of time, I will do what I have to do in order to protect her and keep her healthy. 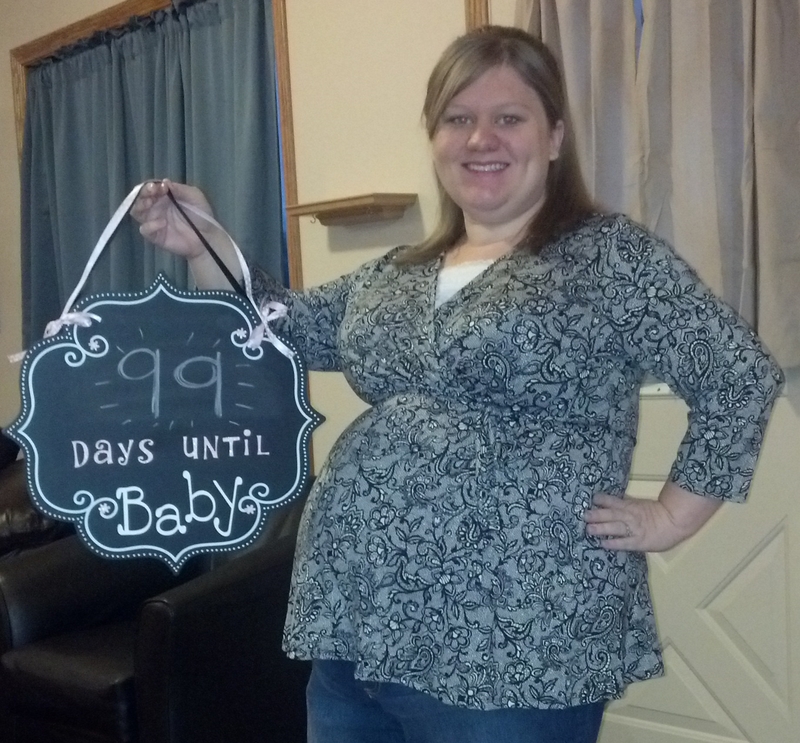 LESS THAN 100 DAYS UNTIL BABY!!! Symptoms: I just feel gloriously pregnant. I am constantly adapting to my growing body. I’ve come to terms with the fact that it will be years before I can sleep through the night… and my body is learning to fall back asleep after late night bathroom trips — which is a relief!!! 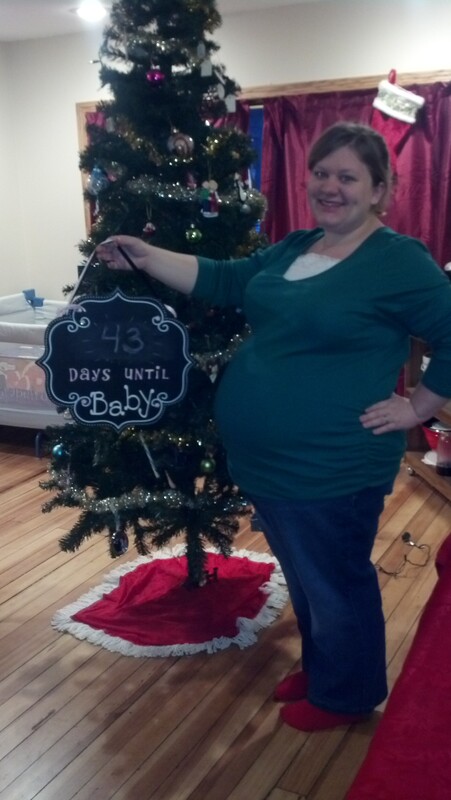 As I near the beginning of the 3rd trimester, I’m starting to realize that I’m not able to do everything I want to do. Sometimes, I have to slow things down and take some deep breaths. But overall, I’m loving this phase of my pregnancy. Baby is moving so much more now. The movements are getting stronger and stronger. I love feeling her wiggling around. Next Appointment: We are officially into biweekly appointments with my OB. On Friday, we’ll get another chance to listen to baby’s heartbeat and an opportunity to discuss what information we found out from the high-risk OB. Basically, some of the concerns my OB had about my intracranial hypertension, the high-risk OB wasn’t concerned about… which is a relief for everyone! Then the other day, I was working after school, and Brian walked in and started talking. I swear that as soon as she heard him, she started kicking. I seriously can not wait for him to officially meet her in about 14 weeks! I can not believe that we are already past 6 months. 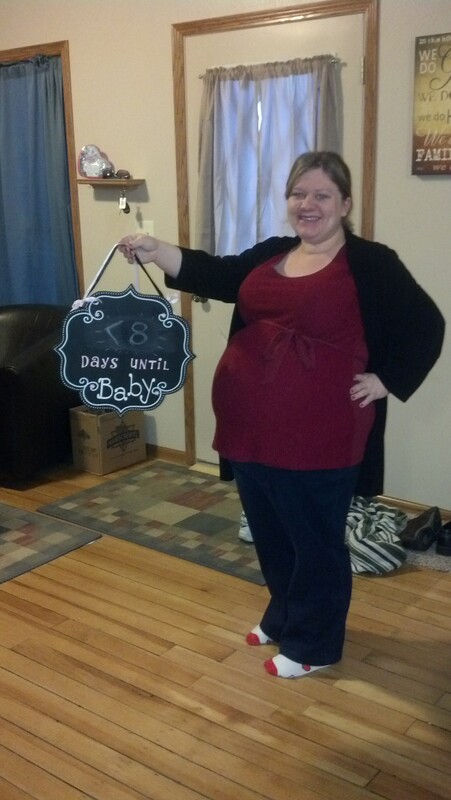 The in-laws gave me a precious sign for my birthday that helps us count down the days until baby. Get this: only 106 days… and 4 of those are major holidays! Everyone knows that from the beginning of November until after the first of the year time just FLIES by! 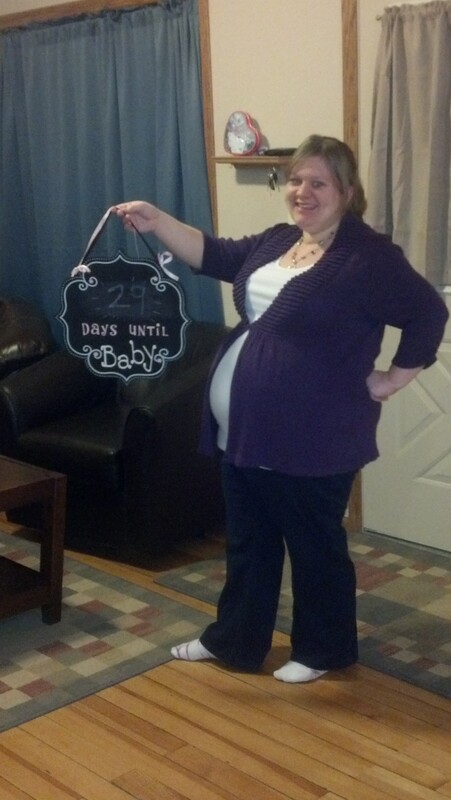 Here’s my 24 week bump picture. Symptoms: This has been one of the most pregnant-feeling weeks of my pregnancy so far. My skin feels tight, I’m starting to feel some swelling in my hands/feet by the end of the day, my back and hips ache, and sleeping is uncomfortable. And ya know what??? I LOVE IT! Because in addition to those rather unfortunate symptoms, I also have some awesome ones… Baby is moving like crazy and I can literally feel a change in my bump when she’s in different positions. Sometimes she’s up really, really high and other times she’s low. It’s so cool to feel the changes. Cravings: I can’t get enough peanut butter – I put it on my toast in the morning, on celery at lunch or for a snack… YUM! Also, Hershey miniatures – ya know, the fall assortment. Sure, it’s the same as it is all year round, but they just taste better. Next Appointment: We had our 24 week appointment on Halloween — and it went really well. 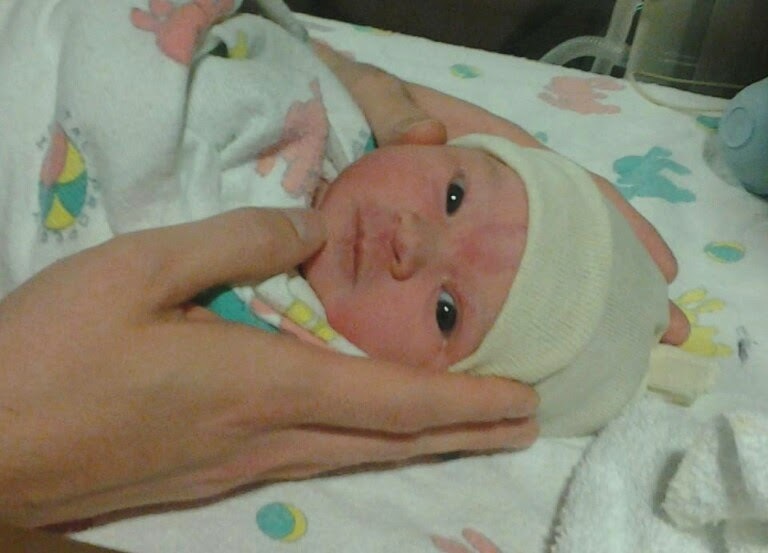 Baby was finally willing to cooperate with the doctor’s doppler and we heard her steady heartbeat — 150 bpm. Our next appointment is on Saturday with the high-risk OB. She will do another ultrasound to look at baby’s spine and heart again. We’ll also discuss what she thinks about my intracranial hypertension. Best part of the week: The weekend before last, I had a complete meltdown about how unprepared we are for this little girl to show up. We don’t have anything for her besides a few outfits and a lot of love. Brian and I don’t make big purchases before first researching the product we’re looking to get. Since we will need some important safety items for baby, we new it was even more important to put in our research. So after hours of researching, we have finally decided which car seat to register for and what our dream stroller would be! What a relief! Now we can begin researching cribs — as we want to purchase a crib that will function as a crib all the way through to a toddler bed. 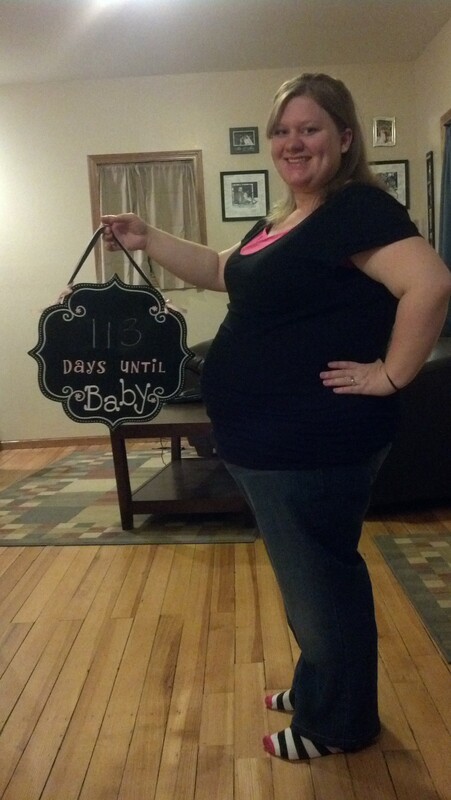 And all in all, we are feeling like 106 days may actually be enough time to prepare for this baby.